Now, I usually don’t post stuff like this but it’s well-warranted, I promise. When I first saw Lamour Supreme‘s sketch for the Mishka Boogie-man over a year ago, I was blown away. Taking inspiration from Eliphas Levi’s Baphomet, Lamour brought a new level of evil to the already-twisted Boogie-Man toys. After the most recent release hit the demand of Kaiju heads all over the world, the guys decided it was time to up the ante. 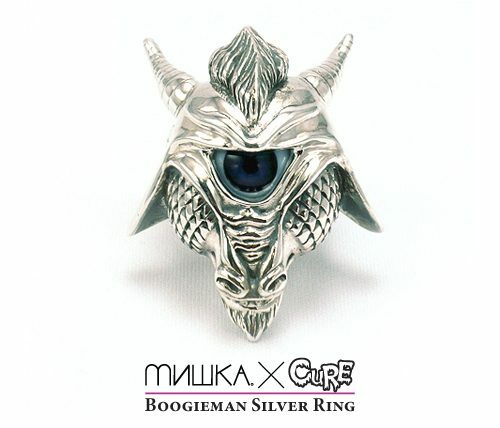 Lamour and Mishka got together with Cure toys to produce a limited run of these Baphomet Boogie-Man inspired rings. They’re hand made in Tokyo using only the highest quality sterling silver. Rings of this nature fetch hundreds of dollars in the Japanese circles so the price of $399 may seem steep, but it’s not unwarranted. There is no way in hell I’ll be picking one up, but damn, that thing is vicious! 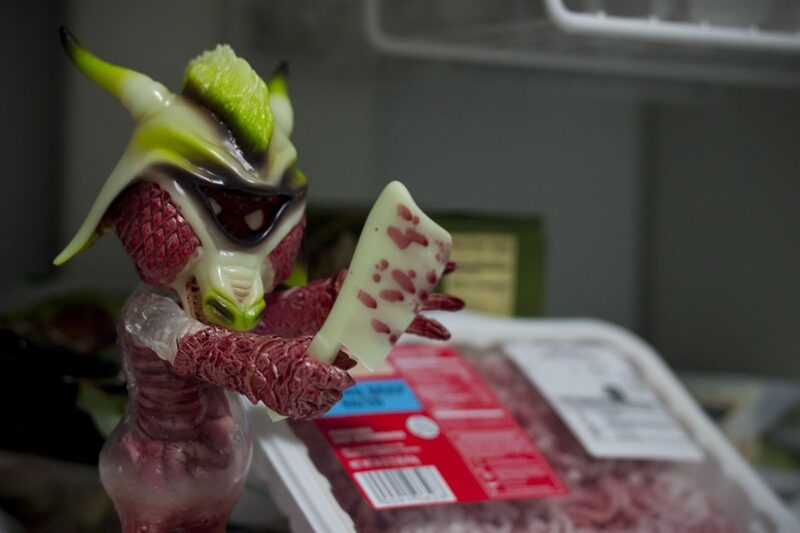 There’s more information over at the Mishka Boglin, so head over and check it out!